My service is very simple. If you need an urgent graphics design for facebook post, ad, twitter banner, instagram post etc. and also you are very low on budget than this is the right place for you. Please do not hesitate to share all details with me and i will design an amazing one for you. The service is a simple one and there will be a single revision if necessary. 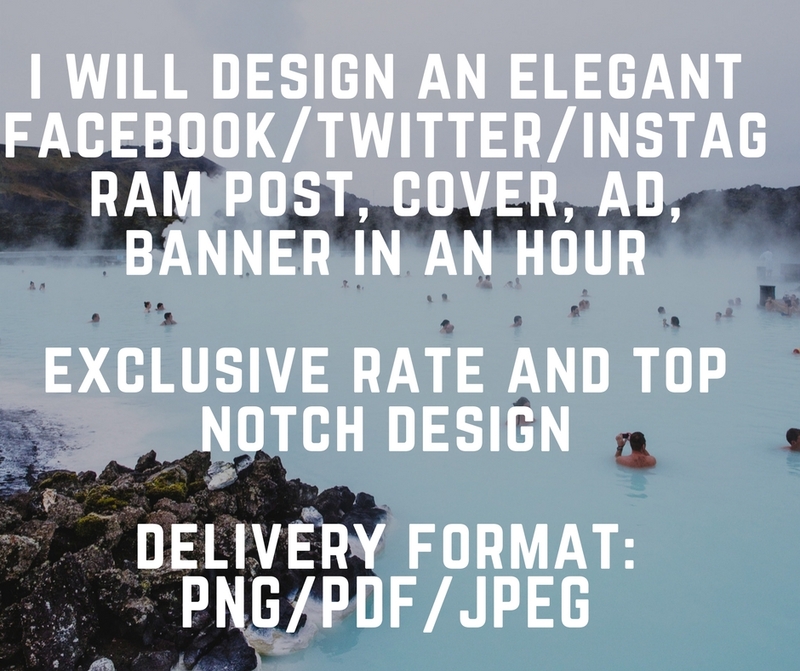 Facebook, twitter, Instagram cover, banner, post DESIGN in an hour is ranked 4 out of 5. Based on 21 user reviews.